Everyone wants to smell fresh and good in our everyday life whether it’s an office routine, meetings, presentations, outdoor trip, an evening date or any kind of special occasions. Everybody wish to drive people crazy around them by spreading a superb fragrance with a refreshing aroma and body odour. But most of us fail to get a good fragrance perfume or scent which will help us to achieve that smell and body odour. Well, No need to worry now as I have brought a wonderful solution on it. 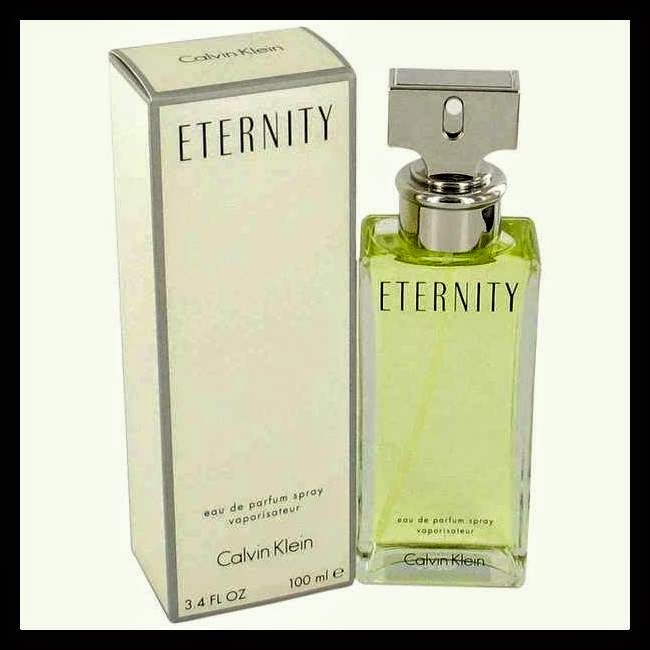 Eternity Perfume by Calvin Klein is the best solution for women out there who are craving for long lasting fragrance. Eternity Perfume was awarded as Most Successful Women’s Fragrance at FiFi awards in 1989. It was launched by Calvin Klein in the year of 1988. It is known to be best iconic perfume of the 90s time. It has a smooth fragrance which is ruling the market even today by remaining in the list of most favourite items of women. Being a working woman I always had to struggle with my routine work and maintenance of a fresh body odour. Once at family occasion I came across one of my cousin who had worn perfume and she smelled really great. Hence, I asked her secret behind this awesome fragrance so that even I can grab it. She revealed her secret by suggesting me Eternity Perfume by Calvin Klein. The very next day I went to the perfume shop and got it for myself. I must say the design of bottle is very attractive and wonderful. It is in rectangular shape and long in height. It is a glass bottle made of very high class heavy glass material. I use it every day while going to office and also for special occasions. It has a romantic floral smell and trust me when you wear it on body it will definitely drive everyone crazy around you. The fragrance of Eternity Perfume by Calvin Klein lasts for long time. If you are going on date and thinks which perfume to go for in order to bring more sensual feeling in your date then I will surely suggest you Eternity Perfume by Calvin Klein as it will help spicing up and bringing up more romance in your date. You can call it a perfect ideal for love lasting and intimacy. It smells very romantic and sensual. You will make your partner fall for you again and again with depth of its smell. It has a romantic, classy, floral, luxurious and never ending fragnance. I really love the way it smells on me. Being a very sensitive skin person, this perfume resulted best for me. For me its fragrance is very pure, floral, clean, crisp, powdery and perfect for everyday use. Eternity also has some other versions of this scent, but I can say this perfume will win the competition because of its clean and classic fragrance. I assure that Eternity Perfume by Calvin Klein will go with any style and it is very trendy. Eternity Perfume by Calvin Klein is made up with three notes i.e. top note, heart note and base note. Top Notes - Sage, Mandarin, Freesia, Lemon blossom, Green notes. Heart Notes - Pot marigold, Lily-of-the-valley, Rose, Narcissus, White lily, Carnation, Jasmine, Violet. Base Notes - Patchouli, Amber, Heliotrope, Musk, Sandalwood. I will strongly recommend this product to all of you and suggest everyone to try it once. If you find the price is very expensive to invest in this perfume then I will suggest you to surf various online e-commerce websites where you will get some offer which will help you to grab this product in a very reasonable price. I assure that it will definitely help you to bring more happiness and freshness back in your life and will also help you to enhance your romantic and social life. Great work!I am glad to catch idea from your article. It has information I have been searching for a long time.